The statutes of “Skärgårdsstiftelsen i Stockholms län”, Registration number 802405-0216, passed by the founders, Stockholm County Council, the Municipality of Stockholm, and Stiftelsen Stockholms Skärgård, at the signing of the trust deed on 7 July 1997. Revised at meetings of the board on 20 May 1998 and 23 November 1998. The foundation, the name of which is “Skärgårdsstiftelsen i Stockholms län”, has been formed by the Municipality of Stockholm, Stockholm County Council, and Stiftelsen Stockholms Skärgård. 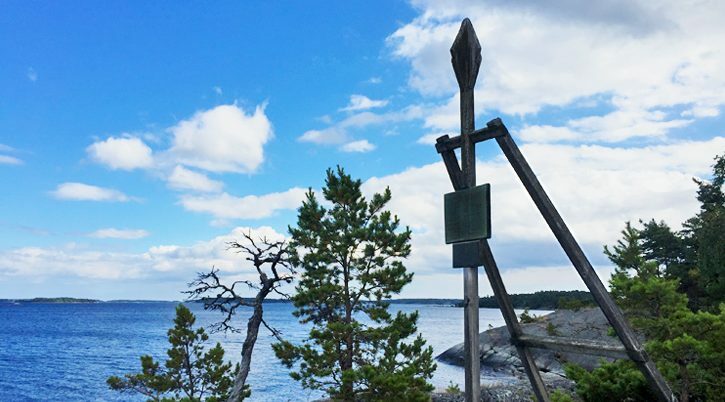 The purpose of the foundation is to work to preserve, with donated and acquired properties as its basis, the special character of the Stockholm archipelago, its natural values and its landscape, while at the same time promoting the development of outdoor leisure activities, culture, recreation and tourism, and while considering the interests of the permanent residents. The board shall ensure that the buildings and facilities in the region are used in the best possible manner to promote the purpose of the foundation and shall otherwise equip, maintain, care for and – where necessary – develop the facilities and operations to the benefit of the purpose of the Foundation. Certain parts of the activities of the foundation may, if this is found to be appropriate, be operated in a special form, for example as a limited company with the foundation as parent company. The assets of the foundation consist partly of property that the founders have contributed at the formation of the foundation, and partly of property that has been added or acquired by the foundation by contract or by other method. The foundation shall, at the same time as the transfer of property and capital from the founders, have the right to take over the rights and responsibilities to the extent that these refer to the transferred property and activities associated with it. The interests of the foundation shall be handled by a board consisting of fifteen members and fifteen deputies. Eight members and eight deputies shall be appointed by the Stockholm County Council, four members and four deputies shall be appointed by Stockholm Municipality, three members and three deputies shall be appointed by the archipelago municipalities Haninge, Norrtälje, Nynäshamn, Vaxholm, Värmdö and Österåker. The board may co-opt to the work of the board eight members without voting rights from interest groups for and in the archipelago. The Stockholm County Council shall appoint the chair from among the members of the board. The board shall appoint from within its members first and second vice chairs. Procedure for the introduction of replacements shall apply in votes for which the board is to determine a procedure for introduction. Members and deputies on the board shall be appointed for the period determined by the relevant authorised body, to a maximum term that expires at the end of the year in which general elections are next to be held to the relevant authorised body. The board shall appoint a working committee from among its members, consisting of five members and five deputies. Three members and three deputies shall be appointed following a proposal from the members of the board from Stockholm County Council, and two members and two deputies shall be appointed following a proposal from the members of the board from Stockholm Municipality. The provisions of Section 9 concerning the board shall apply, where relevant, to the working committee. The foundation shall be located in Stockholm. The board shall determine the working procedures and guidelines for operations, including the use of funds. The board in its entirety, or a person or persons appointed by the board, shall sign for the foundation. In order to carry out the decisions taken by the board and to lead the day-to-day operations, the board shall decide on the appointment of a managing director and other necessary personnel. The board shall meet when called by the chair as often as circumstances make necessary, with a minimum frequency of twice a year. It is the responsibility of the chair that information about the meeting is distributed at least two weeks before the meeting. A quorum of the board shall consist of at least nine members. The opinion about which the majority of those voting are agreed shall be valid as decision. In the event of equal numbers voting for two alternatives, the opinion held by the chair shall be valid as decision. If a member is prevented from attending a meeting or from further participation in a meeting, the deputy shall serve in the place of the member. Minutes shall be kept of board meetings. The fiscal year and the financial year shall be the calendar year. The board shall each year, before the 1 April, submit an annual report for the preceding year, with financial statements including calculation of profit and loss, balance sheet, together with other necessary documents concerning the activity of the foundation during the year. The management and accounts of the foundation shall be examined by three auditors, who are appointed for one year. The Stockholm County Council, Stockholm city and the board of the foundation shall each appoint one auditor. The auditor appointed by the board shall be a certified public accountant. The auditors shall before the 1 May have made a statement relating to the previous year, according to Section 11 of Chapter 4 of the Foundation Act. Remuneration for board members and auditors, and for their deputies, shall be determined by the board. A board member or an appointed public employee may not deal with an issue concerning contracts between him or her and the foundation. Nor may he or she deal with issues relating to contracts between the foundation and a third party, if he or she has a significant interest that may be in conflict with the interests of the foundation. The term “contract” here is used also to denote legal proceedings and other legal actions. The properties of the foundation may not be sold, with the exception of land exchange during property regulation or corresponding events. Neither may any part of the shares of the foundation or other parts of legal entities be sold or in other way disposed of without a minimum of 12 members of the board agreeing about this, with the exception of AB Utö Havsbad, which may not be sold or disposed of without the agreement of all members. The board has the right to decide about changes to the statutes without permission from Kammarkollegiet if the board agrees, with the exceptions given below. Changes to the statutes may not lead to this section or Section 14 being changed, nor may changes lead to the foundation being given any other purpose than that stated in Section 2.